Report: OG Dimintri Tsoumpas released by Phins. 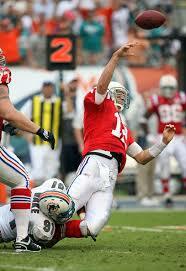 Post subject: Report: OG Dimintri Tsoumpas released by Phins. Report out of Toronto says OG Dimintri Tsoumpas has been released by #Dolphins. That would get Fins roster back down to required 80. The Calgary Stampeders offensive line could get a big boost in the next couple weeks. Former starting right guard Dimitri Tsoumpas was released by the Miami Dolphins Thursday and there is now a 10-day period in which the 24-year-old Edmonton native can sign with another team. If no other NFL team picks him up, he becomes Stampeders property for the remainder of this season. Post subject: Re: Report: OG Dimintri Tsoumpas released by Phins. He will find a NFL team to take him as a camp body at least.